A SAT-7 TÜRK team recently visited Moldova to film a brand new documentary about the Gagauz people, a small Turkish-speaking minority. 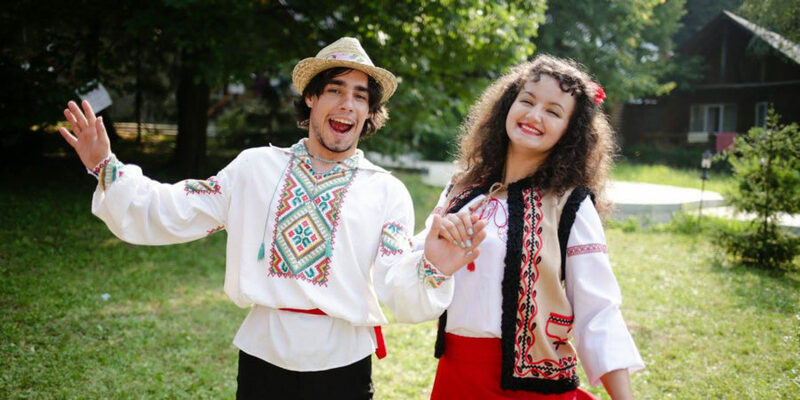 In October 2018, SAT-7 TÜRK were presented with a unique opportunity to do a 10-day shoot with the Gagauz people in southern Moldova. There, they produced The Wolf and the Cross, a 45-minute documentary which will be entered into various film festivals in 2019. Producer Bora Taştan shared how the documentary is aiming to change the common perception that Christianity is a foreign faith. Gagauzia is a small nation of approximately 250,000 people, mostly living in the southern regions of Moldova. The Gagauz people are ethnic Turks. They embraced Orthodox Christianity many centuries ago, and have preserved it even through the immense pressure faced during the Ottoman Empire. Most Gagauzes, alongside Greeks and Bulgarians, were forcibly resettled from Turkey in 1922 and spread throughout the Balkans. Yet they did not lose their faith. The historical symbolism of the wolf inspired the documentary’s name: it is the symbol of the first Turkish and Gagauz tribes. Gagauzians consider themselves ethnically Turkish, which is shocking to some Turks because the Gagauz people are Christians – terms that are socially challenging to reconcile. This speculative title will raise questions and intrigue from viewers. “We want to dispel the idea that people abandon their heritage if they are Christians,” Taştan says. Since Islam is a major component of typical Turkish identity, the Gagauz people aren’t always considered to be true Turks because of their Christian faith. This is one of the misconceptions SAT-7’s documentary seeks to address. “Taking into consideration the sensitivities of the society we live in, we want to express that Turks can be Christians,” says Taştan. Programmes on SAT-7 TÜRK are designed to provide a clear presentation of the Christian faith. The channel aims to teach, train, and encourage the often isolated groups of believers across the Turkish-speaking world, helping them grow and strengthen in their faith. This new documentary is an essential addition to the resources available to Turkish audiences. Thank God for the centuries of faithful Gagauz Christians who have held firm to their faith. Thank God that SAT-7’s Turkish channel is advocating for marginalised Christians like the Gagauz, and pray the channel will be successful in teaching others about the Christian faith. Pray that today’s Gagauz people wouldn’t just inherit Christianity as part of their culture, but would have a living relationship with Jesus.